This beautiful kitchen was completed in the Beauclerc area of town. 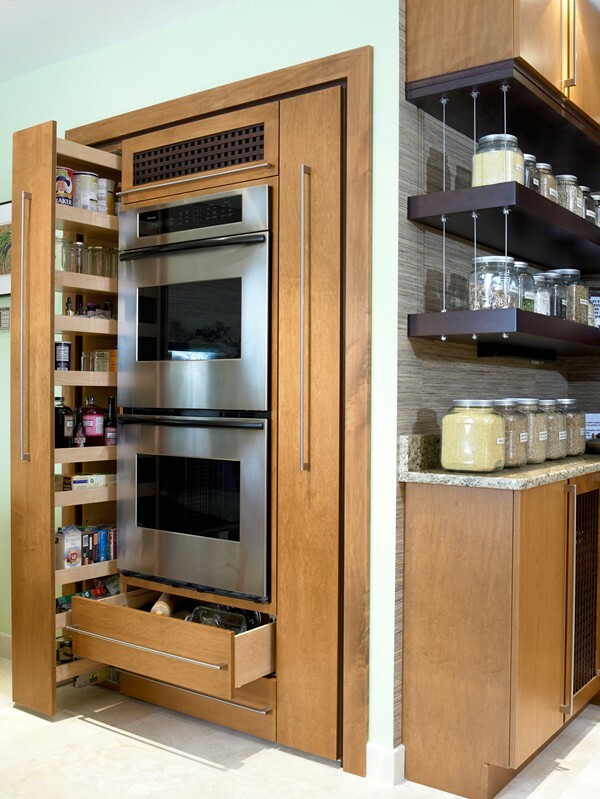 Innovative storage solutions were used in this project, with the use of dual pull-out shelves, that flank the dual ovens on either side. 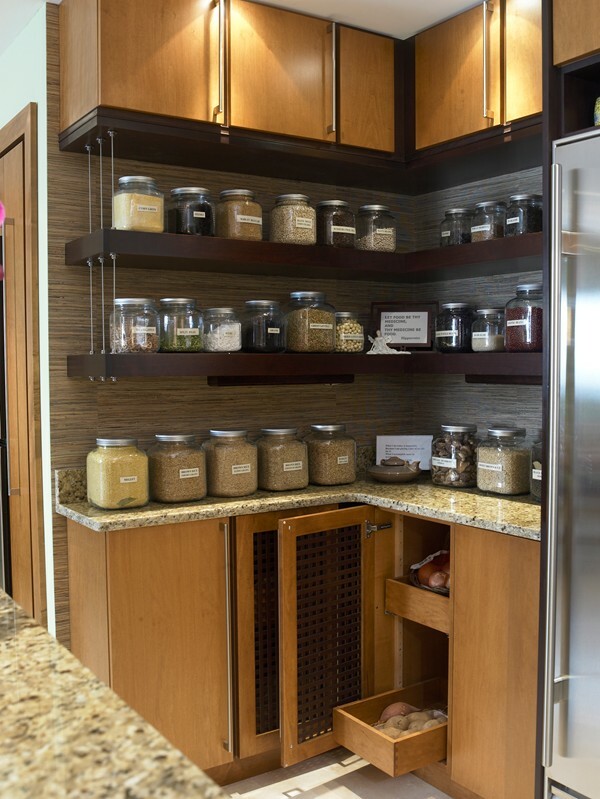 The light brown flat cabinets blend well with the dark accents and shelving. 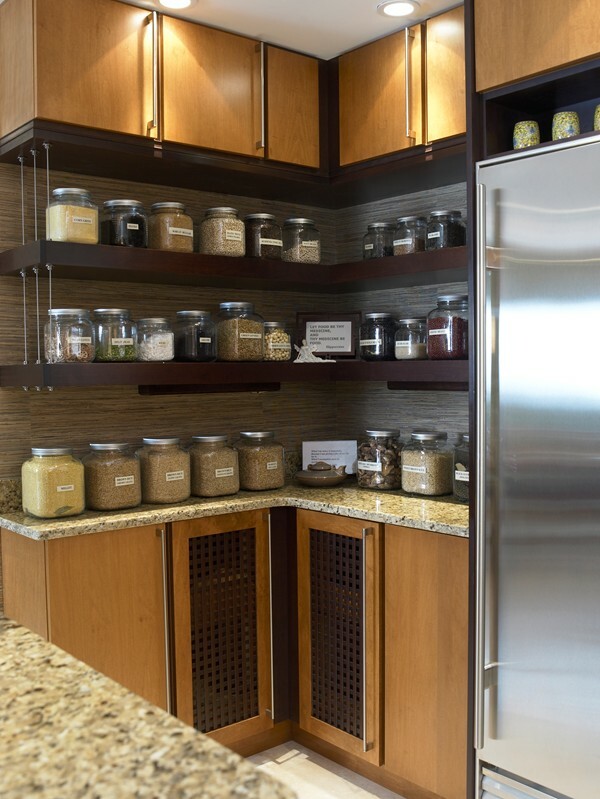 The extensive backsplash work shows the exquisite detail that was put into this project. 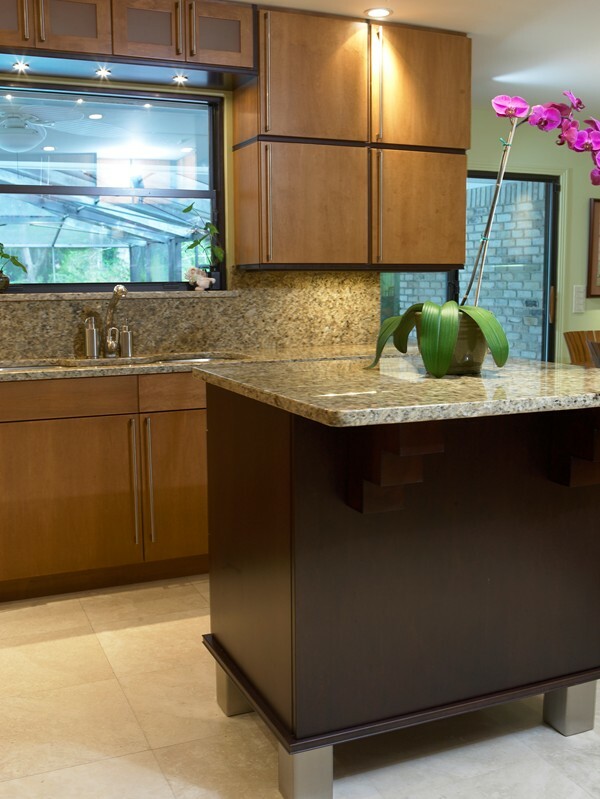 Tile floors and beautiful granite countertops round out this beautiful new kitchen!